The Virginia Trucking Association (VTA) announces its partnership with Truckers Against Trafficking (TAT) in the fight against human trafficking. 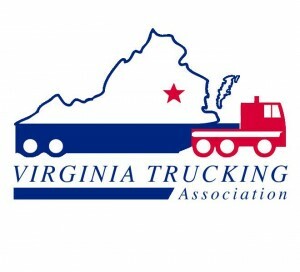 Thirty-three state trucking associations currently work with TAT to combat this crime. Communicate with all member companies to raise awareness about human trafficking and ask them to train their employees with TAT materials and register their trained employees on the TAT website to measure effectiveness of implementation and determine which companies still need to be reached to join the program. Continually work with member companies to keep this issue at the forefront. Share TAT’s Iowa DOT model with the Virginia State Police, the Virginia Department of Motor Vehicles and the Virginia Department of Transportation. This model, developed by the Motor Vehicle Enforcement division of the Iowa Department of Transportation, includes, among other things, training law enforcement working with trucking with TAT materials; having TAT training/educational materials placed in every weigh station, truck stop and rest area in the state; and handing TAT materials out to every truck driver with whom they come in contact. Work with TAT to assist law enforcement in their investigations within their state.